That means dogs need more water than you do to stay hydrated. So Lulu is 36 lbs. She needs 36 oz. of water a day. And the more active your dog is, the more they need water. And the more time they spend outside, the more water they need. 2. Water keeps the body working right, like oil for a machine. Just like in humans, water keeps the body going. It aids digestion, flushes out toxins with the help of working organs like the liver and kidneys and it keeps your joints in working order too. 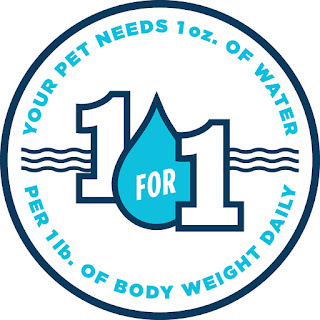 But humans need less water than dogs -- could you imagine drinking your weight in water every day? So even a slight drop in water intake could lead to dehydration. 3. 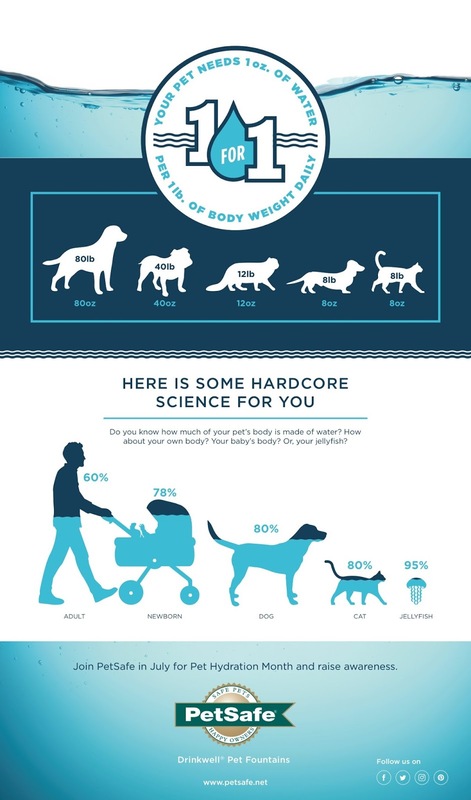 Water helps your dog smell better. 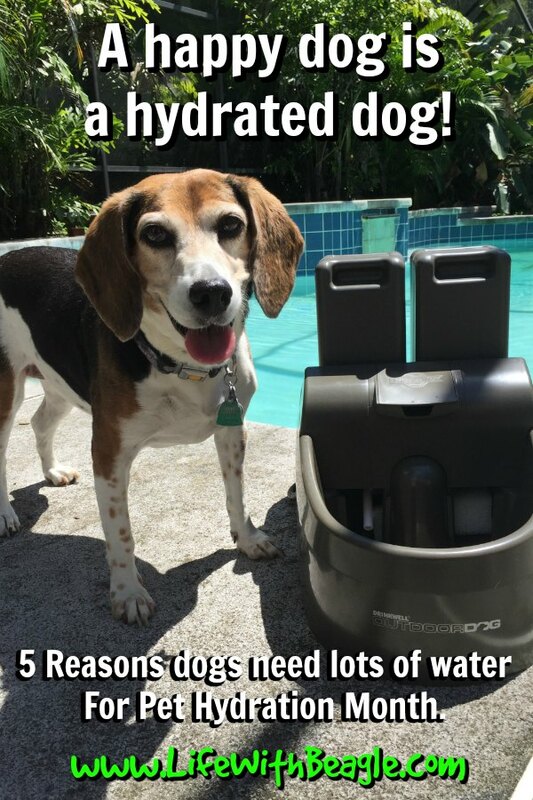 Beagle lovers, heads up: if your dog is having trouble picking up scents, they may need water. A moist nose helps your dog pick up scents. This is so important in tracking and nosework. Pam Medhurst and her beagles help the San Diego Sheriff's Dept. on search and rescue missions, and she says this is definitely true. "I try to make sure my dog gets plenty of water when working as they need to stay hydrated but used their scent receptors to work," Medhurst said. 4. Your dog needs extra help to keep cool. Humans sweat. Dogs pant, and can sweat a little through the footpads, but not enough to cool the body down. They don't regulate their body temperature as well as humans do. To stay cool, dogs pant. But it's not enough to help them stay cool. So having fresh, cool water is very important for dogs, especially when they're out playing or working. If they can't regulate their body temperature, there are a whole host of new problems. 5. Helps with recovering from illness or surgery. Ever been told to keep drinking fluids when you're sick? It's the same for a dog. Water especially helps speed recovery for a sick pet. It helps flush out the kidneys and toxins. When Lulu was recovering from her surgery, I made sure she had plenty of water nearby. So why should you get a water fountain? Do you clean your dog's water dish every day? You should. Bacteria grows, even in water bowls. A water fountain, however, keeps the water flowing. That helps prevent bacteria growth. So the water stays clean, and you can just use tap water, because the fountains filter everything out. PetSafe Brand fountains have two filters -- a foam and charcoal filter. The water also continuously flows, which gives dogs a reminder to keep drinking. I have been looking for a fountain for outside because it's a good way to keep the water clean all day. But one of the big problems is many outdoor filters need a hose. I have a lanai -- Florida-speak for a screen-in enclosure, and no hose hookup inside it. I can put this fountain on the patio, plug it in, and my dog will have fresh water all day long. This fountain doesn't need a hose. So not only can it be used on a patio, or a terrace, or a balcony, or an enclosed porch, and it can also be used inside. And in fact, you should bring it in during colder months. It's not meant to be used once the temperature hits 40 degrees. The PetSafe Brand Drinkwell Outdoor Fountain utilizes two 1-gallon reservoirs. And it holds another gallon and a half of water. So it's 3.5 gallons of water that can run through this fountain, providing fresh, clean water for your pet all day long outside. It's meant for large dogs and multi-dog households. making for 3.5 gallons of fresh water. The fountain is made of BPA-free plastic, and everything but the pump is dishwasher safe. Also great, you can put ice in the fountain's water dish to keep the water cool. It won't get into the filter because there are two grates that keep big things out of the system. The dual filtration system also keeps debris, hair, dirt and other things out of the system. Jasmine especially took right away to the dog fountain. Learn more about the Drinkwell Outdoor Dog Fountain, and see other fountains in the Drinkwell line, you can head to the PetSafe website. You can find the fountains at major pet stores, and on on Amazon.com. 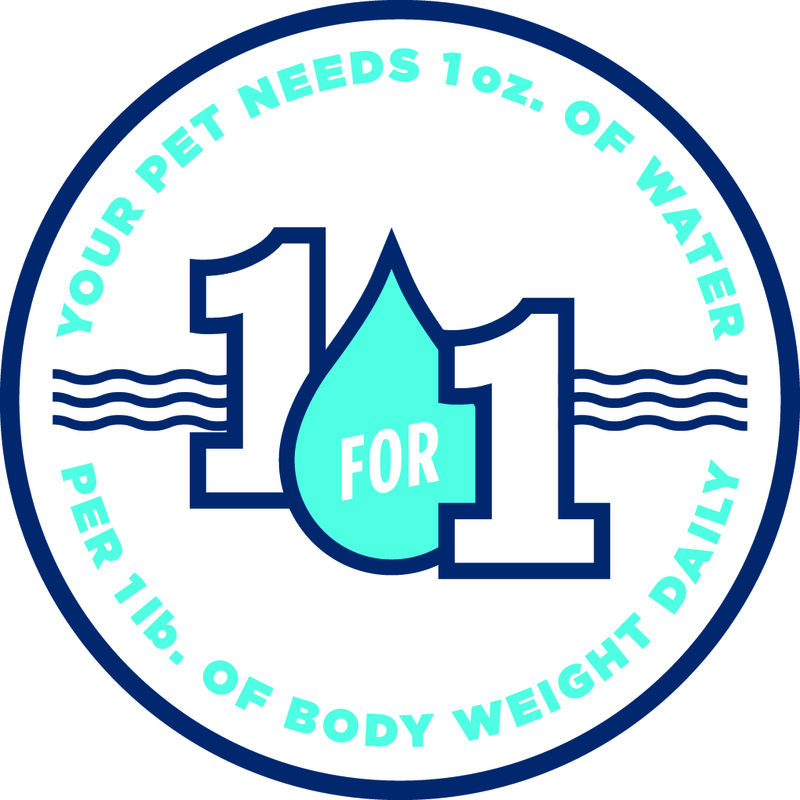 And to learn more about Pet Hydration Month, head to PetSafe's Facebook, Instagram and Twitter pages. I try to keep their water bowl filled. However, my big dog drinks a lot of water!! I didn't realize how much she needed until I read your review. My little dog just laps up a little bit. This pump fountain would be great!!! I have three Treeing Walker Coonhounds and three cats (all rescues). I keep multiple bowls of water around the house and even on the back deck (that one is only for the dogs, since the cats are indoor-only). I change the water frequently and have to constantly check to be sure the bowls are filled. As long as I do that, I think they're getting enough to drink, but it's a full-time job just keeping the bowls filled. I'd love this fountain! I make sure to keep water bowls filled inside and out. I provide ice cubes and ice cube broth on hot days. We have a cat and a dog. I keep my dogs hydrating it by having to water bowls in the house. I also give them frozen treats and make sure they drink. I have 2 dogs and i keep them hydrated by playing with ice cubes with them! They love the game and eat the ice cubes and stay hydrated! I have one dog. I always have water with me where ever I take her and there is always bowls of water out in the house for her. Sometimes if it's really hot I'll even throw an ice cube in it! I have four dogs and 3 cats (not as crazy as it seems, they have plenty of room). I have 5 water "stations" where fresh water is provided very day, or changed twice a day when it's very hot. It's a big task. I wish that we had a fountain outside. 1 dog :) keep water inside and outside along with icecubes and frozen treats. Running a full-time doggie daycare and home dog boarding enterprise, I have multiple metal bowls indoors and outside, requiring constant cleaning and re-filling. I've thought about a fountain for a long while; here's hoping I win! I own a 10 yr old rescue beagle and foster beagles for a beagle rescue. I have three dogs and have two water bowls inside and one outside to try to keep them hydrated. Thanks! this is very helpful information for me and my pomy.